Located in the heart of the community and neatly situated at the end of a quiet cul de sac is this private villa. Newly revitalized and updated with exquisite amenities this lovely home awaits your viewing. Come see the open kitchen and its solid wood cabinets with stone counter tops. The new appliances are both functionally beautiful but yet energy efficient. Stone floors are found in the main living area and the exterior windows and doors have been replaced with latest storm resistant model. The air conditioner and water heat have also been recently replace. The master suite features it own private fireplace, double closets and Stone show with body sprayers. 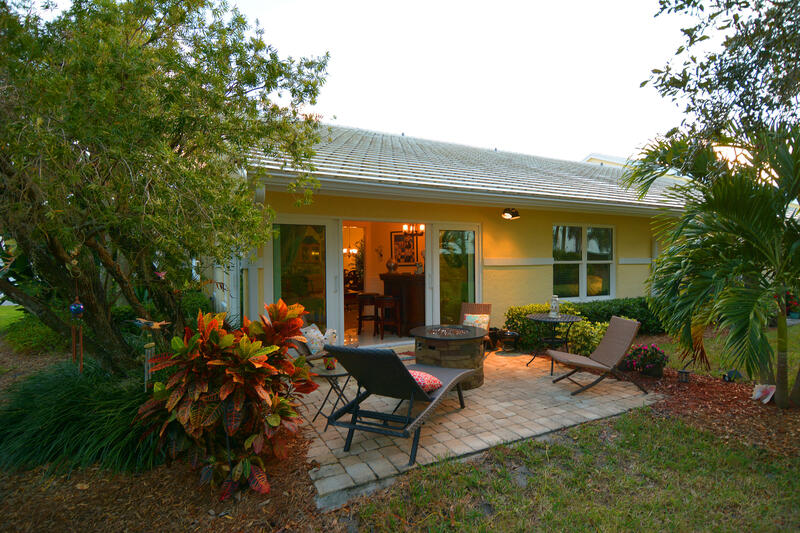 Private interior lanai allow the best of Florida's sunshine to flow into the home. Optional social membership is good till October.